Cashew nuts are among India’s top four agricultural exports, along with basmati rice, spices and tea. Its exports earned the country Rs 5,213 crore in 2017. Yet, units in India’s cashew processing hub, Kollam, Kerala, are facing closure due to rising input costs and mounting losses. The desperation culminated into a massive protest on September 11 when over 500 cashew processors and 2,000 women workers from the state gathered in front of the regional office of the Reserve Bank of India and the secretariat in state capital Thiruvananthapuram to save the industry. 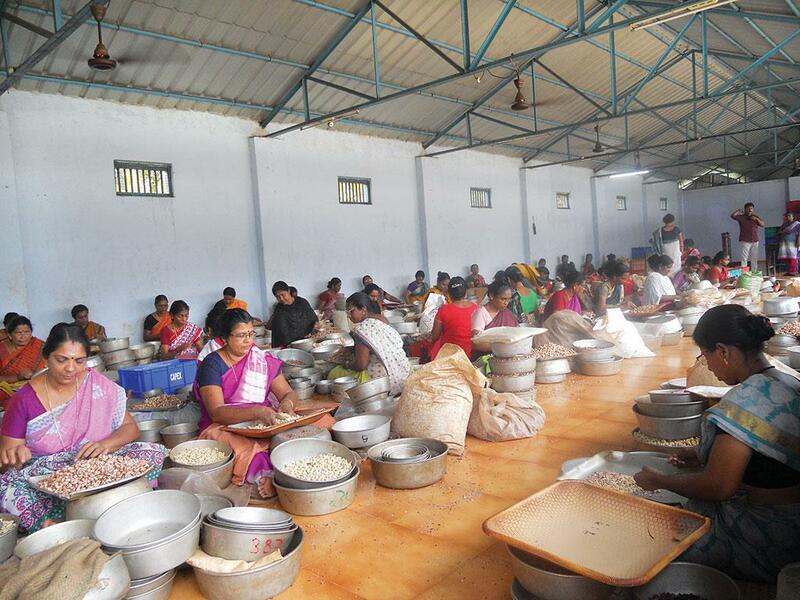 Kerala has 840 registered cashew factories, almost all of them in Kollam. And over 80 per cent have shut shop in the past two years due to huge operational costs that eventually led to accrued loss of these firms, says Kadakampally Manoj, leader, Indian National Trade Union Congress, which works for the rights of the cashew labourers. The closures have rendered 0.35 million people jobless; close to 90 per cent of them are women, he adds. 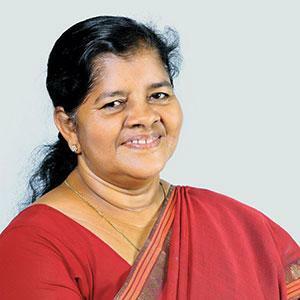 However J Mercykutty Amma, the state’s minister for fisheries, harbour engineering and cashew industry, claims the state government has recently restarted 350 plants. Babu Oommen, proprietor, Alphonsa Cashew Industries in Puthur, 28 km from Kollam, blames unfavourable policies, non-availability of raw cashew kernels and high costs for the crisis. India started importing raw cashew nut kernel in the 1960s to meet its growing processing demands. India’s raw cashew production in the 20 years—between 1995 and 2015—grew at a compound annual growth rate (CAGR) of 3.1 per cent, while its domestic demand grew at CAGR 5.3 per cent, according to the Cashew Export Promotion Council of India (CEPCI). To bridge the gap, India imports from over 15 African and Asian countries. The problem started in 2006 when the Centre introduced a 9.4 per cent import duty on raw cashew. 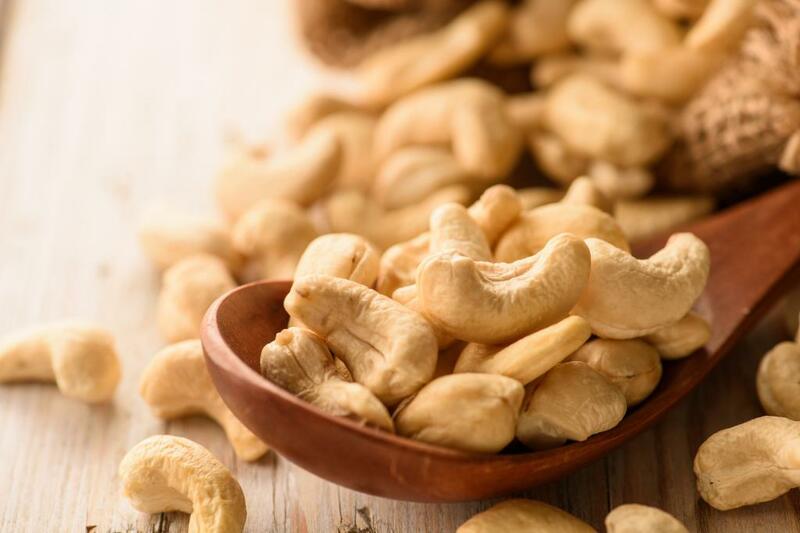 It intensified in 2016 when the price of raw cashew increased from US$800 to US$1,800 per tonne in the international market primarily due to the growth of cashew processing industries in Vietnam and China, which are more mechanised and efficient than India. India’s import of raw cashew declined from 0.96 million tonnes (MT) in 2015-16 to 0.65 MT in 2017-18, according to the Directorate General of Commercial Intelligence and Statistics, Kolkata. This is also the time processors say they started defaulting on bank loans that are now threatening their existence. “We have requested the Centre to lift the duty,” says Amma. This year’s Union budget revised the import duty to 2.5 per cent. Meanwhile, the domestic cultivation of raw cashew failed to pick up due to unfriendly government policies. For example, in the 1970s, the state started implementing the Kerala Land Reforms Act, 1967. The law put a ceiling of 6 hectares (ha) on individual land ownership, but exempted plantations. This prompted many to convert their land to plantations. Since cashew is yet to be accorded a plantation status, it fell out of farmers’ favour. According to CEPCI, India’s area under cashew cultivation has remained more or less stagnant at 1 million ha in the past decade. Cashew processors also say that the government has over the years neglected cashew and promoted other cash crops such as rubber. “Several African countries are now planning to process about 50 per cent of their cashew in-house and enter the world market in a big way. Before this happens, India should take appropriate measures to meet its raw cashew nut production,” says R K Bhoodes, chairperson, CEPCI. The agency has drawn a road map to increase India’s cashew cultivation to 2 million tonnes by 2025. India produced 0.8 million tonnes in 2017-18. CEPCI plans to achieve this by replacing old senile cashew trees with high-yielding varieties and adopting new agricultural methods. CEPCI estimates that its plan will increase the cashew yield in the country from the current 700 kg per ha to over 3,000 kg per ha. Even the Kerala government launched a slew of initiatives to increase the production and acreage under raw cashew nut cultivation (see interview,). Rajesh R, managing director of the Kerala State Cashew Workers Apex Industrial Co-operative Society, which runs the state-owned cashew factories, says that with schemes focusing on bringing more land under cashew cultivation, the government needs to ensure effective monitoring. Manoj M K, technical officer at the Cashew Research Station of the Kerala Agricultural University, has a more fundamental concern when he says bumping up cultivation is a long-term plan and it is unlikely to address the immediate financial crisis the sector is witnessing. “If nothing else, a cashew tree is ready for harvest in three years.” For this, the protesting processors in Thiruvananthapuram believe the government should waive off the loans and provide stimulus packages. At present, the banks are in the process of declaring businesses of at least 160 processors as non-performing asset. Meanwhile, these owners believe the long-term plans will help, only if the industry survives till then. How does your government plan to revive the dying cashew industry? We plan to open all the cashew factories in the state because 90 per cent of the labourers employed in them are poor women. The state has 800 private and 40 government factories, of which about 350 are already operational due to our efforts. The chief minister has conducted several meetings with the stakeholders to find a solution to the ongoing crisis. Have the banks agreed to give cashew nut processors additional time to repay the loans? What is the government doing to bring the cashew processors under the Credit Guarantee Scheme for Micro and Small Enterprises? The banks have already agreed to give two months moratorium to cashew factory owners for repayment of loans after the government's intervention. They are now considering to extend it by another three months. The Reserve Bank of India, which has participated in all the discussions, has prompted nationalised banks to prepare a plan to rehabilitate cashew factories in the state. The government is also trying to accommodate cashew factory owners under the Credit Guarantee Fund Scheme for Micro and Small Enterprises. There are several agencies looking at cashew development in the state. How will the recently formed Cashew Board help to revive the industry? The Cashew Board is a new initiative to find solutions to the existing problems that ail this sector. The state has in the past unsuccessfully asked the Centre to establish a dedicated body for the sector. So, the government has now decided to set up a state-level body to regulate cashew import, pricing and address other problems existing in this sector, like the shortage of raw cashew and better prices for cashew nuts. Despite being a land-deficit state, the government has promised to bring over 10,000 ha under cashew farms. How will this be achieved? We are planning to provide a plantation status to cashew nut, which will bring large areas under cashew nut cultivation. The plan is to bring over 10,000 ha under cashew cultivation, out of which in phase one, about 4,046 ha of land will be covered. The land available with schools, government offices, local self-government institutions, public enterprises will be added under this project. But a major portion of the land will be from the forest area. We are also trying to bring revenue land for cashew cultivation. This project will be implemented by the Kerala State Cashew Cultivation Agency. We have launched The Cashew Park in my School through the Kerala State Cashew Development Corporation and the Department of Education to develop cashew parks with the help of children in the unutilised areas in schools. The programme will be implemented throughout the state to create awareness among children on the importance of cashew, both as a nutritious nut and a breadwinner. How has been the state government's experience with sapling distribution drives that were started last year? In the past two years, the distribution of cashew saplings has been done effectively. We now plan to do a comprehensive evaluation of the saplings distributed so far. What role can agriculture scientists, research centres and universities play to revive the cashew industry? The industry can greatly benefit from the expertise available with the research centres and universities. Agriculture scientists are developing disease-resistant, high-yielding, sustainable plants. In the sapling distribution drives, we are taking several plants from the nurseries developed at these research institutions and universities. The state has allocated Rs 54.45 crore for the sector. How will it be utilised? We intend to use the amount to revive the industry. A plan is being drawn to maximise the benefits from the investment. We are optimistic that this will change the status of the industry. (This article was first published in the 1-15th October issue of Down To Earth under the headline 'Cashew crunch').